Wombats are short-legged, muscular quadrupedal marsupials, native to Australia, approximately 1 metre (40 in) in length, with short, stubby tails. Some Wombat's species are endangered because predation of Wild Dogs. Wombats generally can be found in Australia. 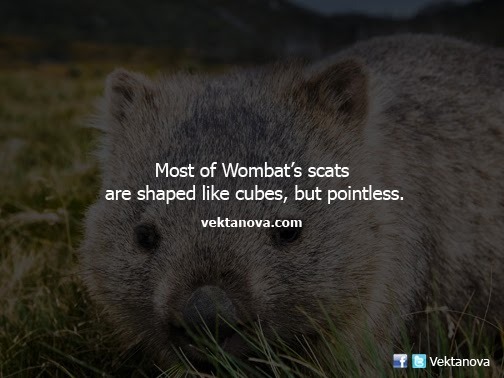 The unusually thing about Wombats is their scats that are shaped like pointless cube [redirect to Wikipedia's picture gallery]. No response yet to "Wombat Scats"